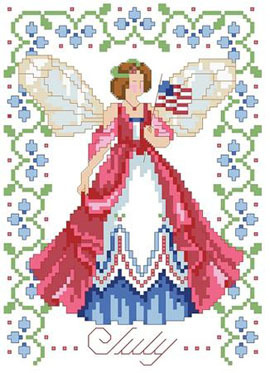 July’s Fairy is patriotic while holding her Red, White, and Blue flag. She is surrounded by Larkspur flowers which enhance the colorful dress she wears. One in a series of twelve faeries.